This pair was the first to show the weakening of the US dollar, which was observed yesterday on many instruments. Practically, we see the development of a downward trend. It is embarrassing that this movement towards the main volume of the entire contract, which can result in frequent and deep corrective reversals or even a halt in the trend in any place. On the other hand, the nearest large volume lies at 113.15, and the potential to reduce, respectively, also. We are waiting for correctional growth either in a small volume area of 113.60-113.75 and selling there, or in the main volume area of 113.80-114.20, where you can sell with a stop at 114.20 and the target at 113.15. In general, our fears that someone had gained a long position a couple of days ago were confirmed. We really see a manifestation of initiative upwards, which with confidence passes yesterday’s perceived resistance. And there were no entry points to the sale at the time of this passage. Moreover, the price quickly grew. Today, we understand that the downward trend is over, unfortunately, it is difficult to say that we will go up quickly and confidently, since there are quite large volumes at the top. 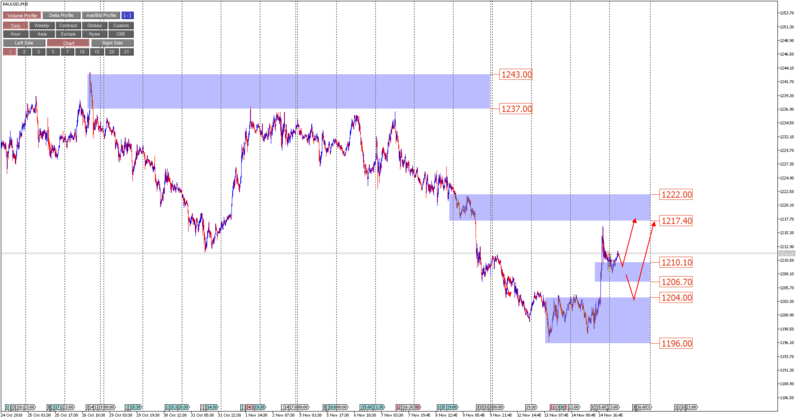 But there is space up to the nearest resistance of 1217.40-1222.00, which means that after correction you can buy with a view to 1217.40. Where to wait for the correction? There are two options. 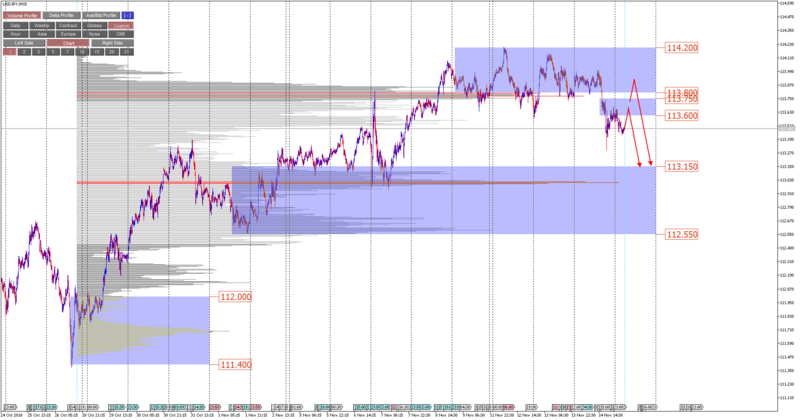 One aggressive, he suggests buying from a small balance at 1210.10-1206.70. The aggressiveness reflects to the fact that the probability of a decline below 1206.70 is quite high and target at 1217.40 give us relatively small profit. The second option is conservative - wait for a corrective decline in the area of ​​1204-1196, by the way, which may not be, and from there work upwards with the goal of 1217.40. And the appearance of the price below 1196 will speak about a change in the trend and a continuation of the fall.